All you ever wanted to know and didn�t know how to ask about our resident black hole. 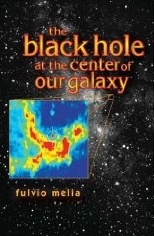 The Black Hole at the Center of Our Galaxy, selected by the American Library Association as one of the 'Outstanding Academic Books' of the year, takes us on a journey through six interesting chapters of scientific fact and theory from the formation of Sagittarius A*, as it is known to the scientific world, to the Event Horizon and beyond. Each chapter is chock full of important Black Hole facts, Gamma-Ray and X-Ray images and interpretation of compounded knowledge in a non-technical fashion. Although highly educational and quite interesting, this is not light reading and I must confess that I had to read several paragraphs more than once for better comprehension of the ideas represented. The Black Hole at the Center of Our Galaxy is more of a textbook on the subject and a must have for all amateur astronomers and students of astronomy and theoretical astrophysics. Another of Professor Melia�s books, The Edge of Infinity is also on my must read list for this International Year of Astronomy.